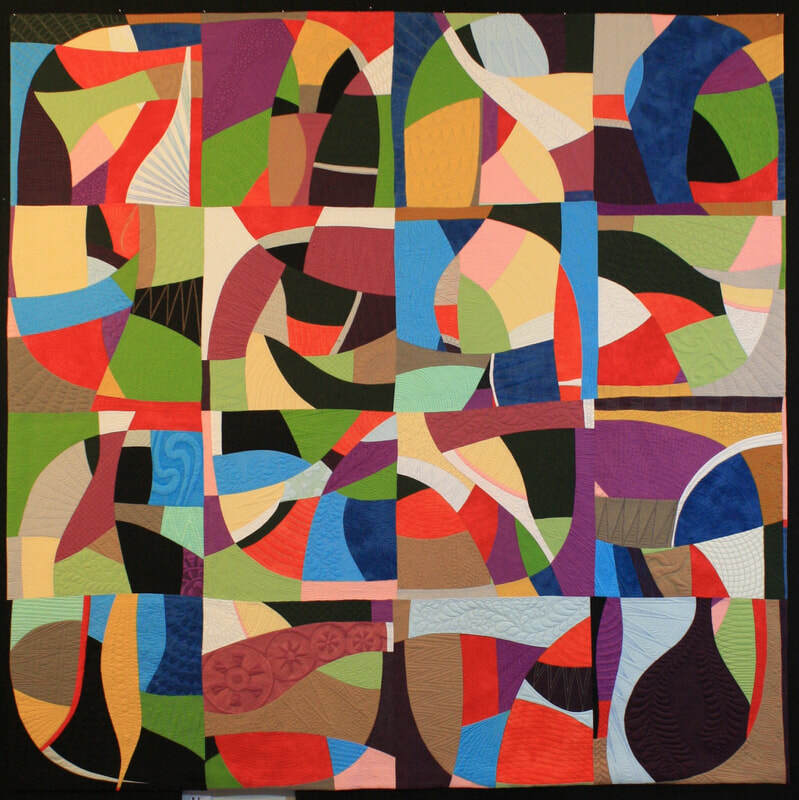 In this class, we will explore color and variation in order to make a successful scrappy look quilt. 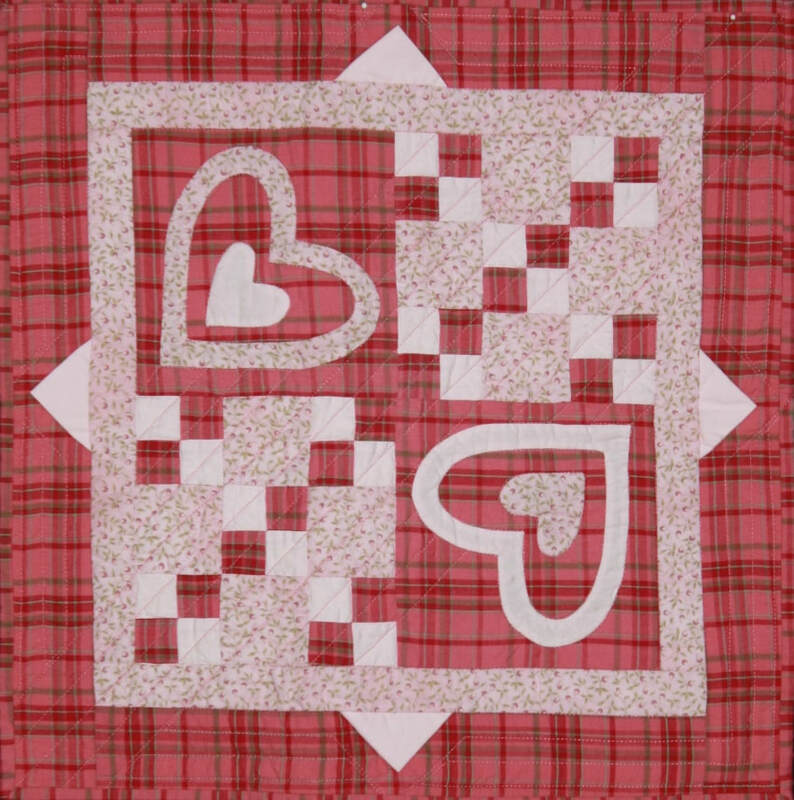 While a pattern for this quilt will be given out, everyone will be encourage to make their own variation. We will be making our own striped material as well as learning a simple technique for making ½ square triangles that be done in any size. Participants can bring colorful scraps or newly purchased fabric, just remember that variety is the key; full range of color, value and tone. In other words, you need Cinderella and her ugly step-sisters in your stash. 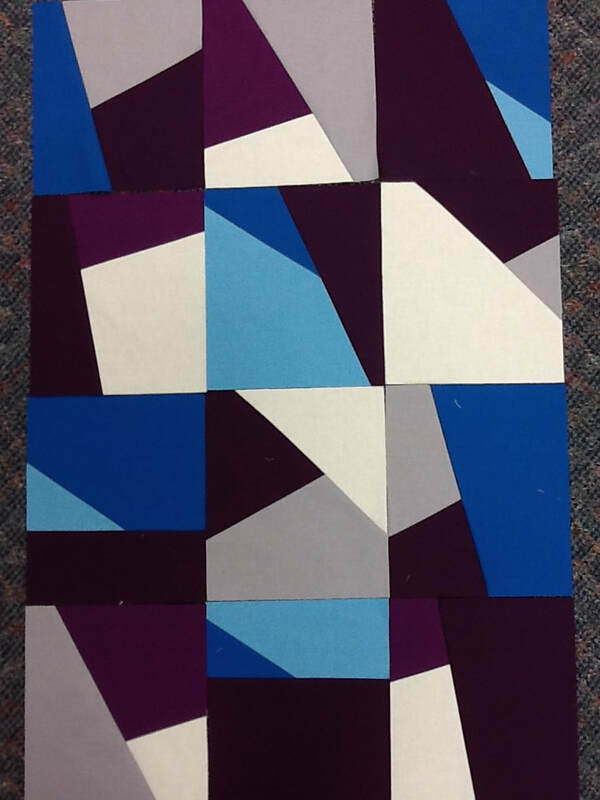 Below are other quilts made with this technique. Class Length 3 or 6 hours. In this class, we will learn to piece improvisational... making it up as we go. It can be intimidating to work without a pattern, but we will take those beginning steps together. We will learn about different line placements and value choices. Use a ruler or learn to cut without one (drawing with a rotary cutter). Bring colors that interact well together but provide contrast. 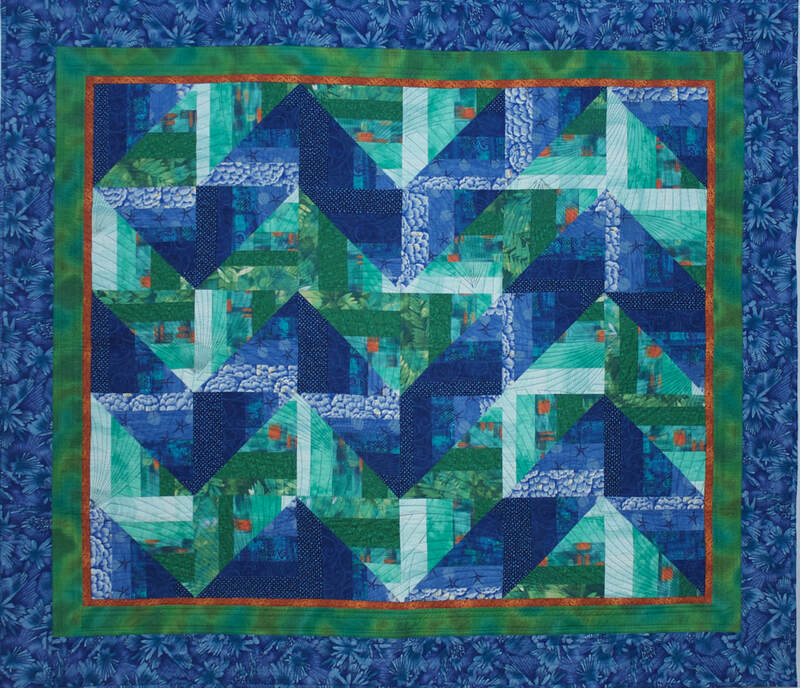 There is no set size for a finished piece, so make a table runner or a lap size quilt. 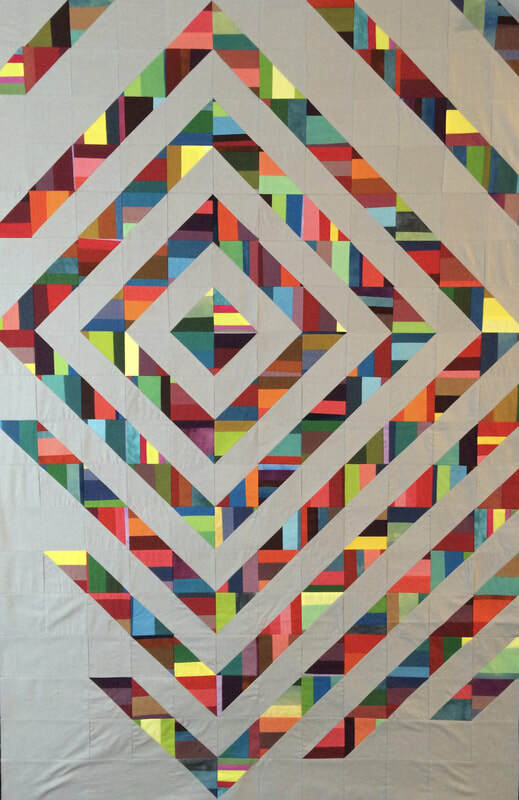 Below are two quilt made with this technique, the level of complexity it determined by the number of times you cut 'n switch. In this class, you will learn about dyeing your own colorful cloth. 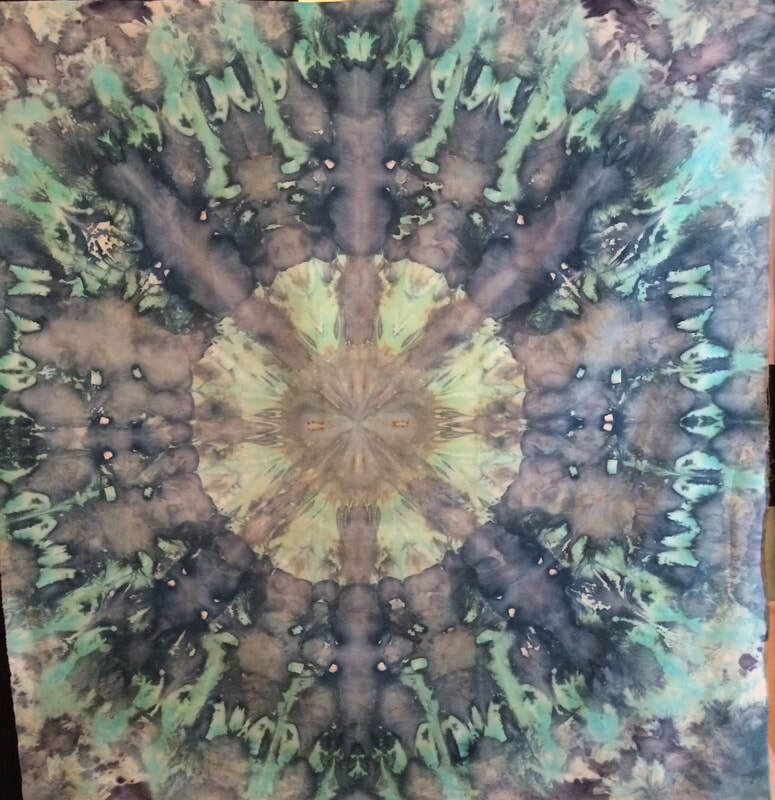 You will explore several different low water immersion techniques for using Procion MX Fiber Reactive dyes. We will talk about the color wheel, so you have a basic understanding of combining colors before setting out to mix your own. We will be working with the three primary colors, and making our own secondary and tertiary colors. We will do three exercises: a single color value gradation (light to dark of a color), a color to color gradation (starting with two colors and mixing them to create the hues in between), and a multi-colored piece. While dyes enable to you mix just about any color, please don't expect to be able to match the color in your kitchen/bathroom/living room during this first class. My hope is that you walk away from class with the confidence to dye on your own. Dyes, auxiliary chemicals and some supplies are provided as part of a kit fee. Fabric can be provided as well, upon request prior to class. Class Length: 3 hours. 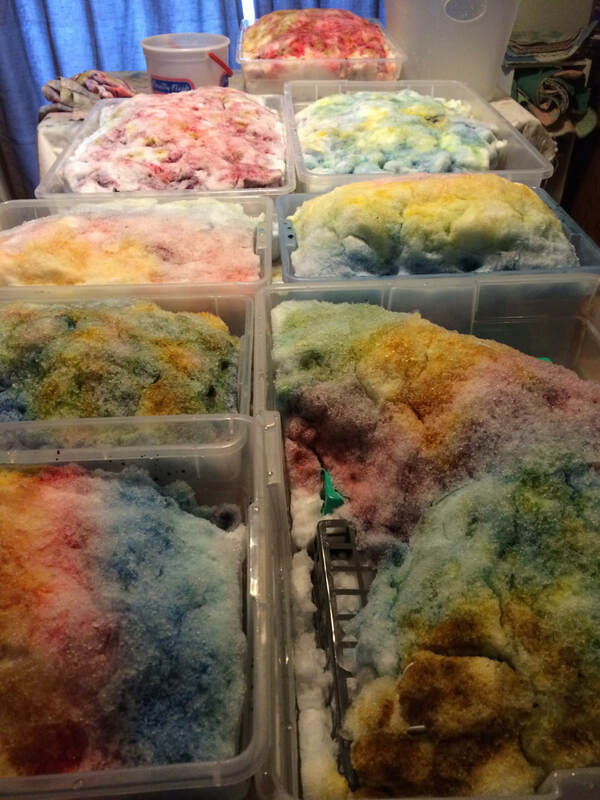 In this class, we will explore the serendipity that is snow/ice dyeing. We will be using Procion MX Fiber Reactive dyes and either snow or ice to help disperse and distribute the dyes onto the fabric. We will explore different folding and scrunching techniques to see the textures that they create in the dyeing process. This dyeing technique gives the fabric a watercolor type effect. When snow is not available, ice can be used as a substitute. This process is not for the control freak...the person who wants to controlled outcomes or doesn't handle a bit of messiness. Dyes, auxiliary chemicals and supplies are provided as part of a kit fee. Fabric can provided upon request prior to class. Students will still need to provide containers and other supplies. 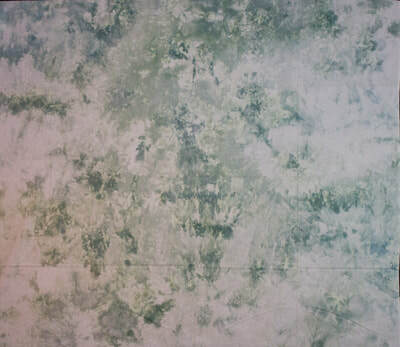 Samples of snow dyed fabric are below. 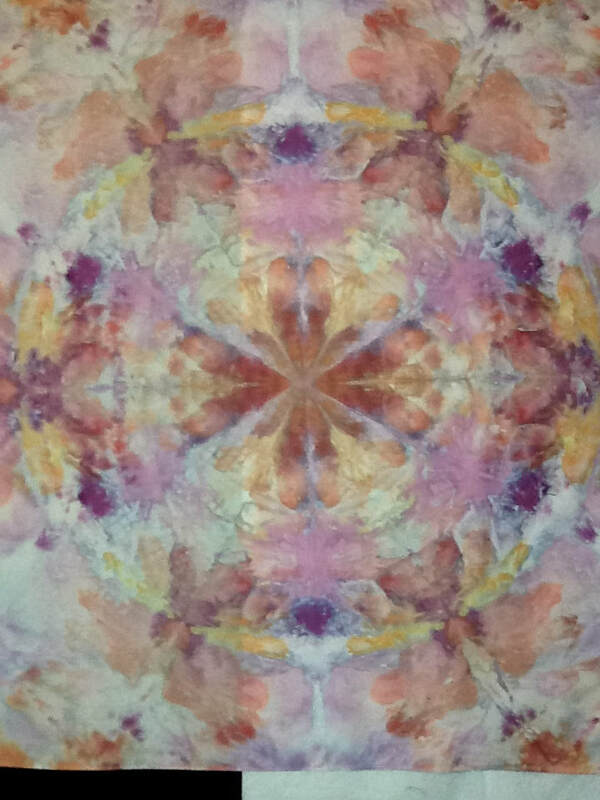 In this class we will be exploring printing on fabric with thickened dyes. We will be using techniques similar to printing with paint or ink onto paper; using stamps, brayers/rollers, paint brushes, stencils, etc. 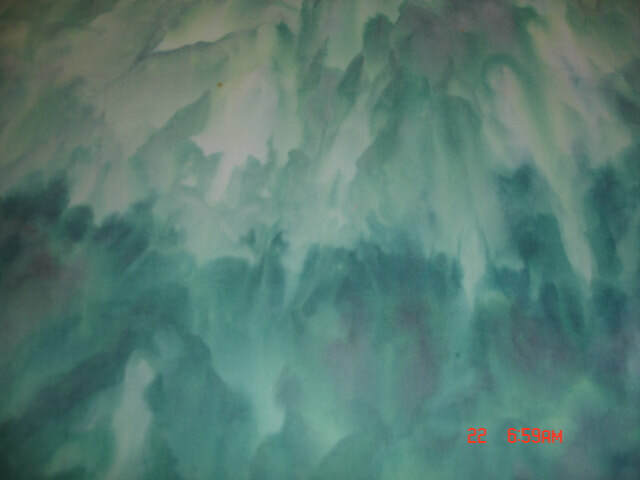 In addition we will be working with thermofax screens (like silk screens). Deconstructed screen printing will at least be demonstrated, if not done, depending on length of class. Additionally, we will explore the idea of using both masking tape and freezer paper as masks. Thickened dyes, auxiliary chemicals, supplies, and stencils and thermofax screens will be provided as part of a kit fee. 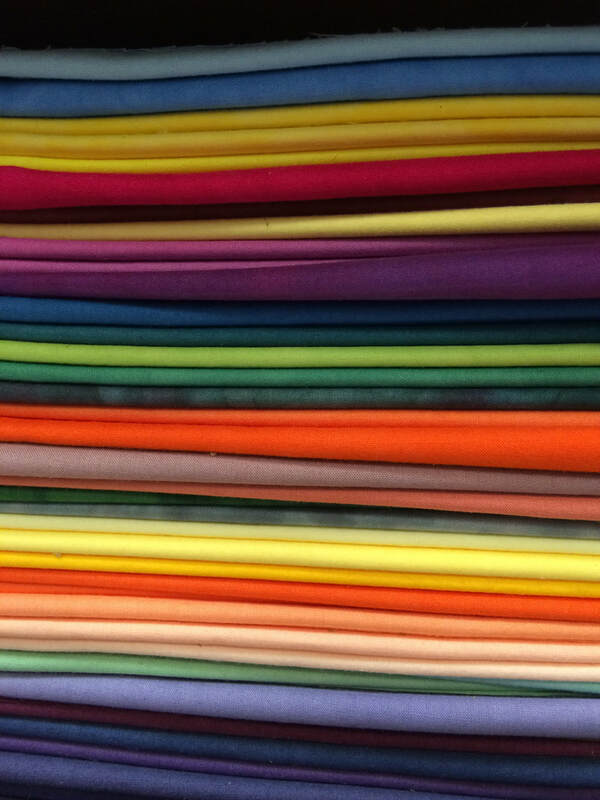 Fabric will need to be purchased ahead of time as it will need to be prepared before class. ​Class length: 3 or 6 hours. For other examples of work, please see fabric gallery. In this class, you will be creating our own unique appliqué piece, combining a unique snow dyed background with a solid color applied piece. We will work on creating our own paper folded design, however, there will be Hawaiian patterns to work from or trace. 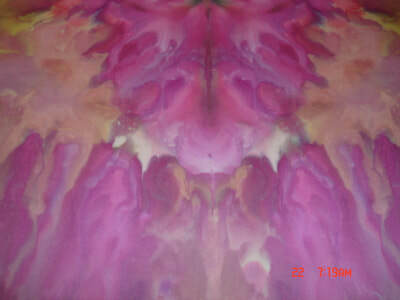 The back ground pieces may be made in a separate class or can be purchased from the instructor. We will walk through the process alignment, basting, and needle turn appliqué (sewing around curves, point and crotches). In this class, we will learn the basics of paper piecing using a star pattern. Paper piecing is a technique known for it's precision. It can be simple and fun as well. We will make this small wall hanging or table topper. After working on this project we will talk about how to break down other patterns and shapes to create your own designs. 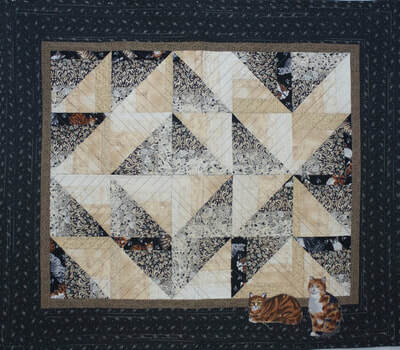 In this class, you will learn basic piecing, needle turn appliqué, and how to make prairie points. We will discuss quilting options and basic binding technique. Chain piecing with be demonstrated, needle turn appliqué techniques shown for success with curves, points and inverted points. We will also work though how to accurately assemble the blocks. Class length: 6 hours. 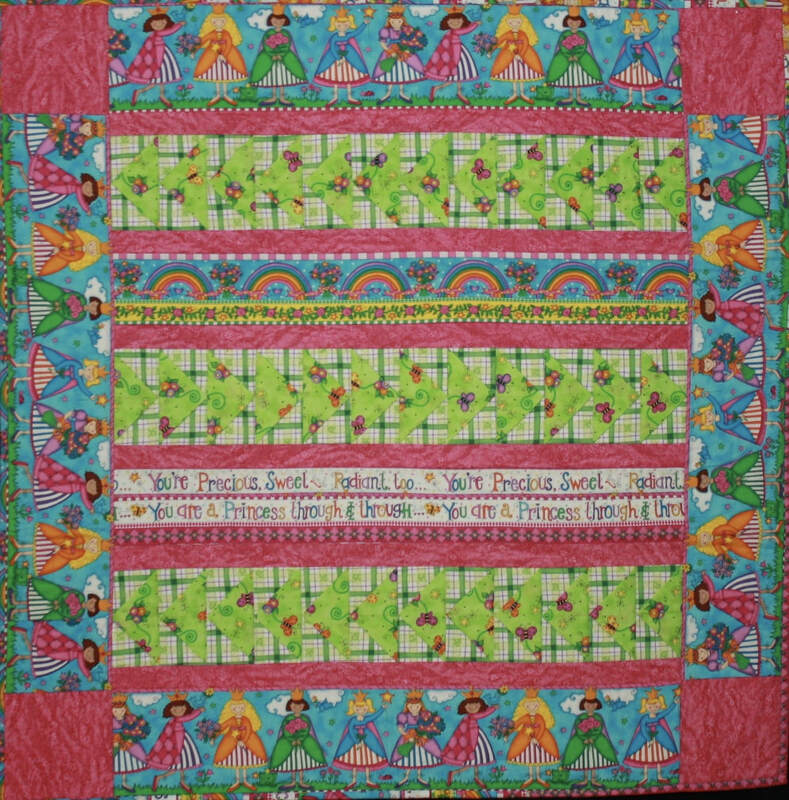 Can be taught in multiple smaller sessions, allowing for quilting and binding will be worked on also. In this class we will explore a simple, quick way to make accurate and dimensional flying geese. 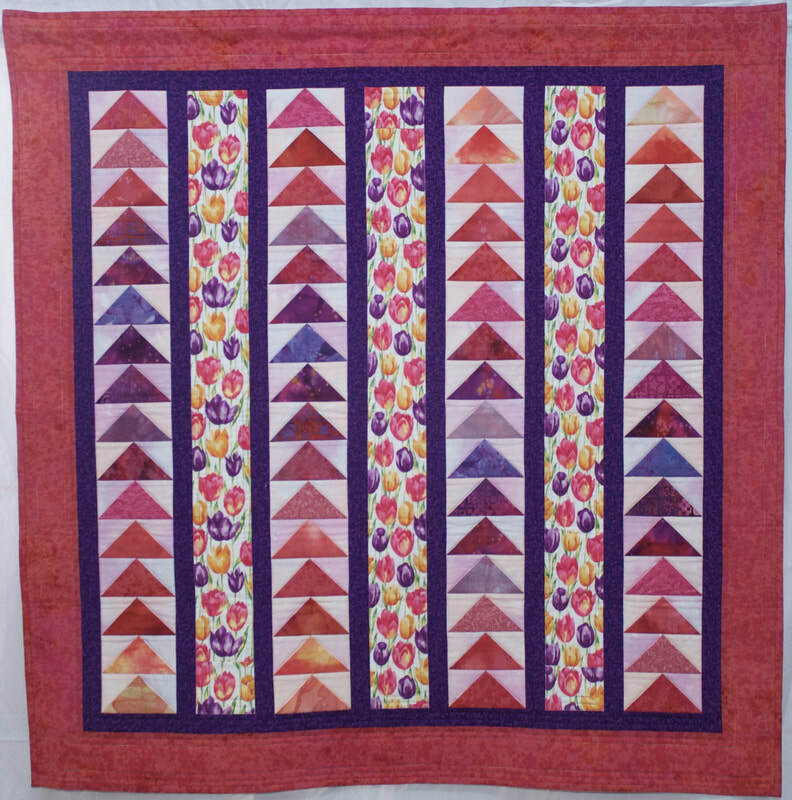 Your rows of geese can then be made into a row quilt using a feature fabric or border prints. Not much is needed for the flying geese, so it's a way to use up scraps. 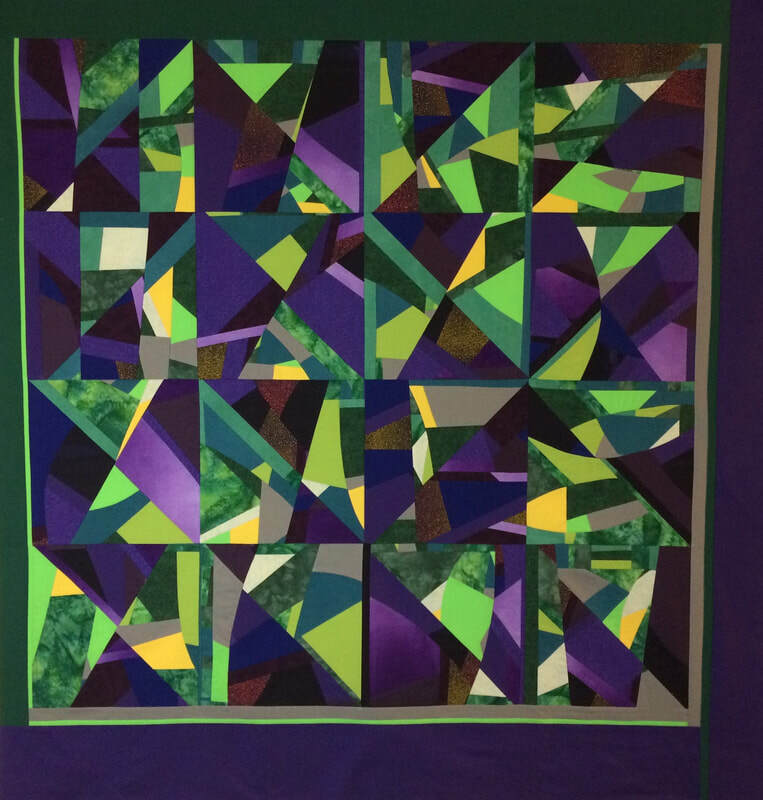 The resulting quilts is a great size for a kids quilt, and they will have fun play with the folded fabric. However, it would be easy enough to quilted the geese down. Below are a few more samples. Class length: 3 hours to understand technique. 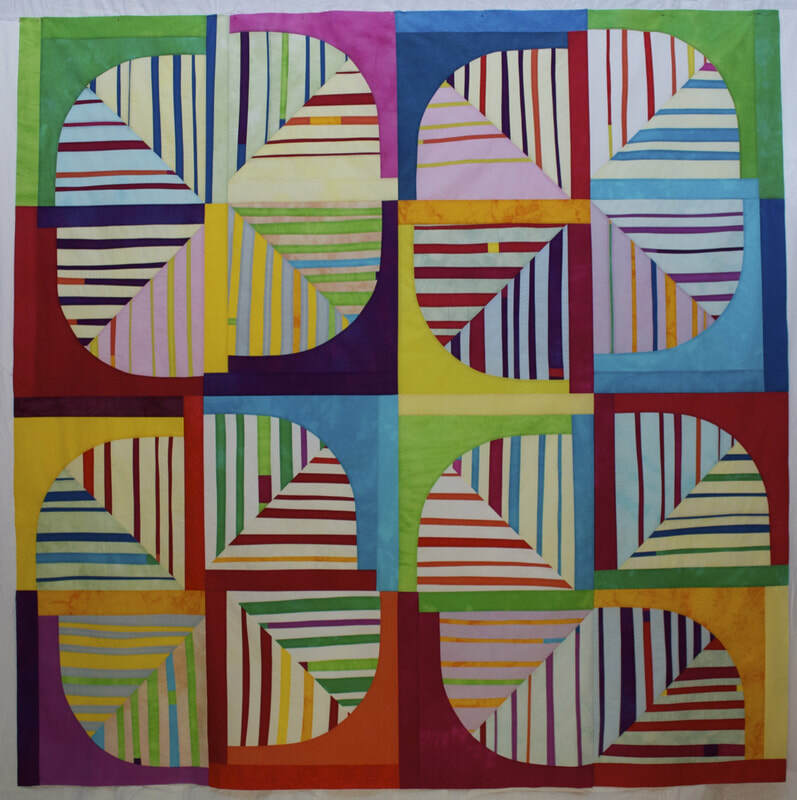 * Let's talk about Design: we will talk about how quilters employ the elements and principles of design in both traditional and art quilts. 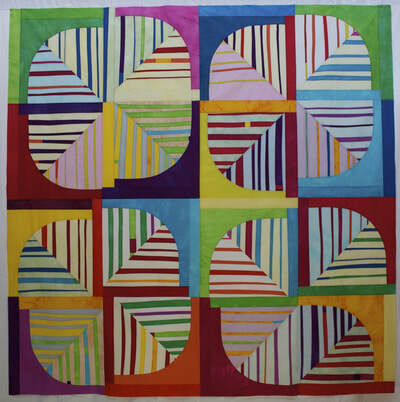 The discussion will continue about how Line, Color, Value impact the story our quilts tell. We will also talk about Balance, Variety, Movement, Repetition and focal points. You might even recognize a pattern developing around your style. This is a fast paced trunk show style lecture. 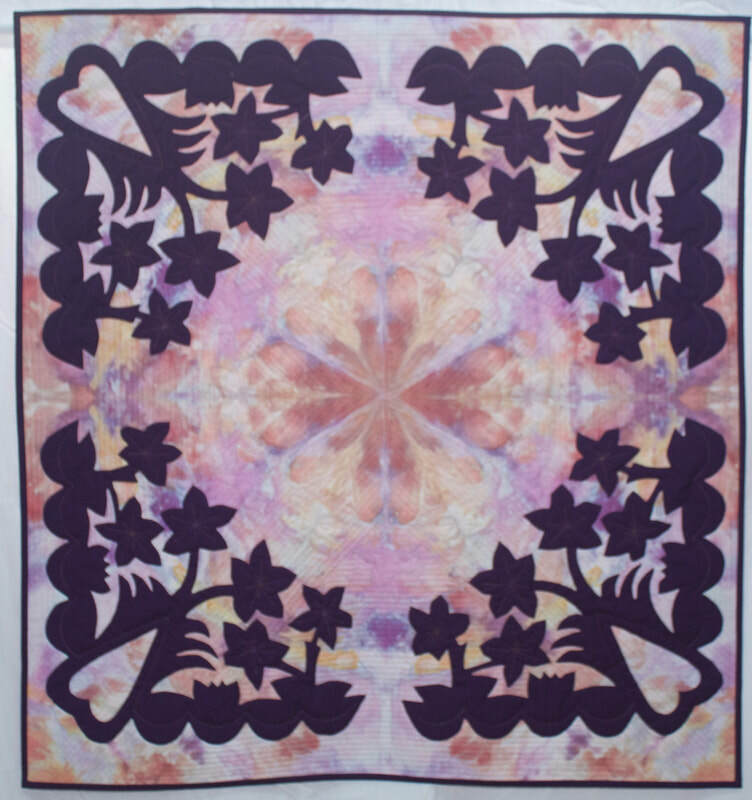 Participants are welcome to view quilts up close afterwards. 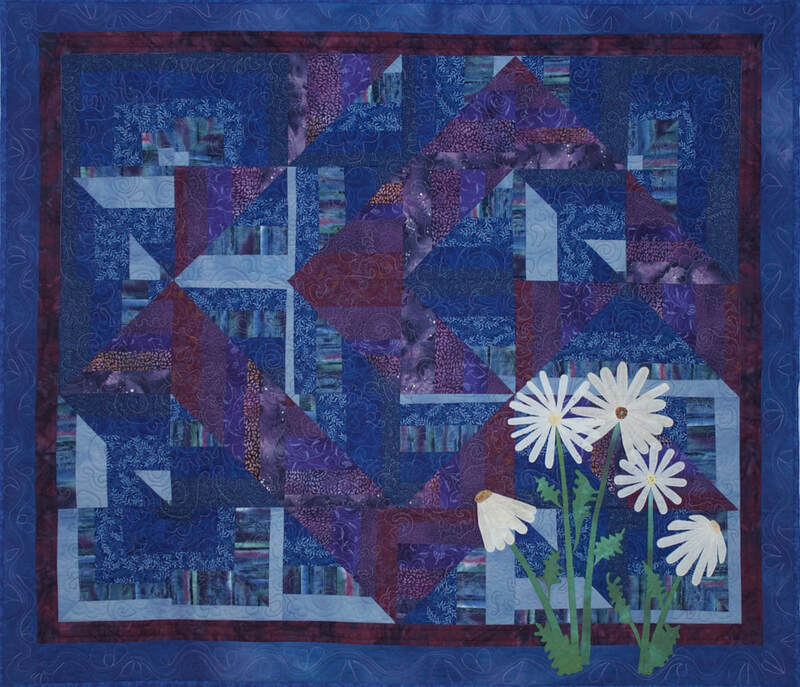 * My Quilting Journey: I will take people through the quilts I have made, from my Traditional start to My Most recent Art Piece. I will go through the different things that have influenced the direction I have taken, from teachers, Bee block exchanges to guild and Magazine challenges. I will show the Big, the Small, the Ugly and the Award winners. I will share what I have learned along the way. Trunk show style lecture. 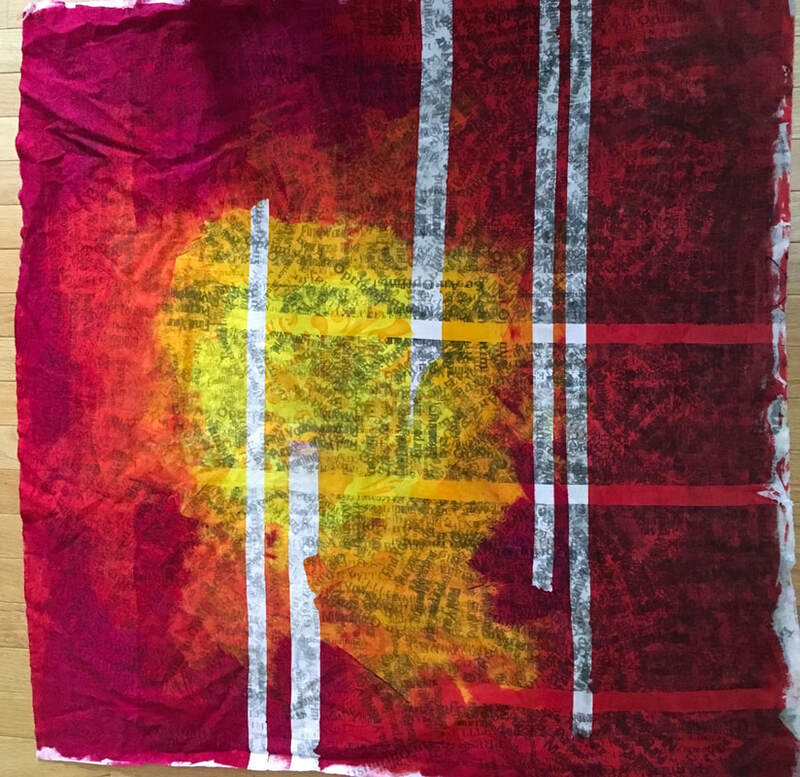 *Fabric Dyeing Demonstration/lecture: I will spend most of the time showing the basics of fabric Dyeing with a little eye candy (showing hand dyed fabric samples and quilts made from hand-dyed fabric) at the end. I will walk you through the process, from mixing the dyes to rinsing them out. I will show how to create a gradation (light to dark), how to transition from one color to another, and explain a few fun techniques like snow dyeing, tie dyeing/shibori, and printing with fabric dyes. * about Judging: in this Lecture I will explain the judging process, different styles of judging, some of what judges look for in award winners, the meaning behind some common comments, and some common misnomers about judging.